This textbook gives a wide-ranging, research-informed introduction to issues in lifelong learning across a variety of educational settings and practices. Its very accessible approach is multi-disciplinary drawing on sociology and psychology in particular. In addition, issues are discussed within an international context. While there has been a proliferation of texts focussing on particular areas of practice such as higher education, there is little in the way of a broad overview. 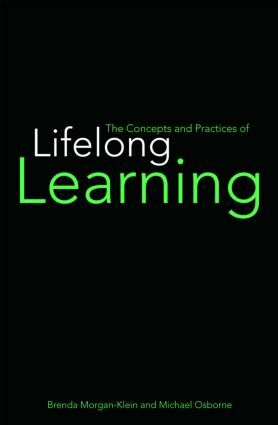 Chapters one to four introduce various conceptions of lifelong learning, the factors that impinge on learning through the life course, and the social and the economic rationale for lifelong learning. Chapters five-ten consider the varied sites of lifelong learning, from the micro to macro (from the home to the region to the virtual). Chapter eleven draws the strands together in the context of turbulence and continuing transition in personal and work roles, and against the background of future technological development. This timely overview will be relevant to education and training professionals, education studies students and the general reader.